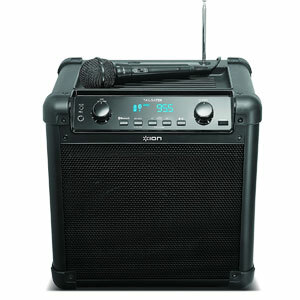 Does The ION Audio Tailgater iPA77 Portable Bluetooth PA Speaker Aid Its Target Audience? Small, portable amps like the ION Audio Tailgater iPA77 Portable Bluetooth PA Speaker are appealing to those that want to take the music and party outside. Clearly the aim here is to target the tailgating crowd. This means an easy-to-use model that is perfect for listening to the game, as well as some tunes to hype everyone up. Does this system deliver? 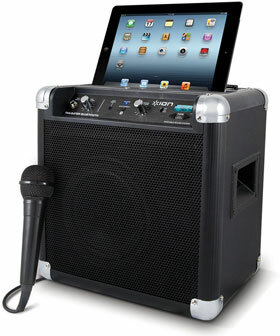 Is The ION Tailgater Bluetooth Portable Speaker System The Ideal Option For Tailgating Or Is It A Bit Too Specialised? This product is no longer available. You can find newer model here. The ION Tailgater Bluetooth Portable Speaker System with Auxiliary USB Charger is a simple speaker with some neat little features that is designed to make wireless music streaming much easier. It has a rechargeable battery so it can be used with ease in gardens and car parks, Bluetooth connectivity for simple streaming from tablets and phones and inputs for a microphone and other equipment to add to the functionality. The name suggests a clear purpose here of simple sound amplification for music from portable devices at tailgating parties: does it provide this and what else can it do?